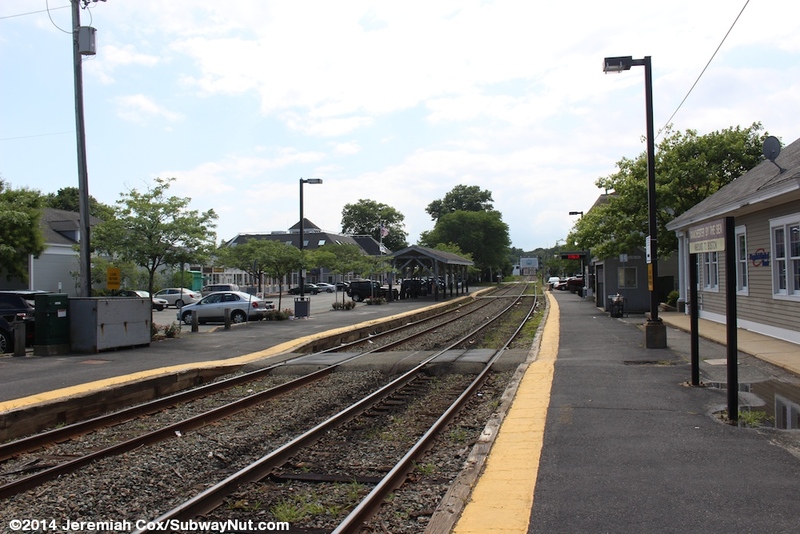 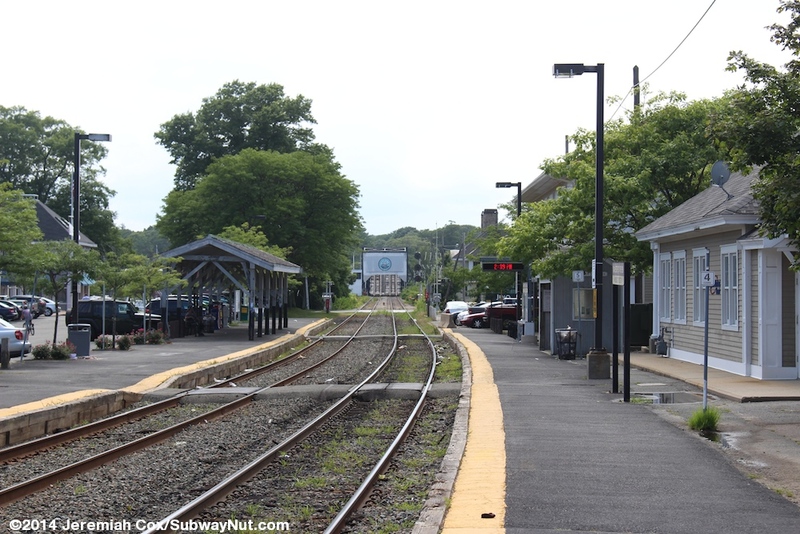 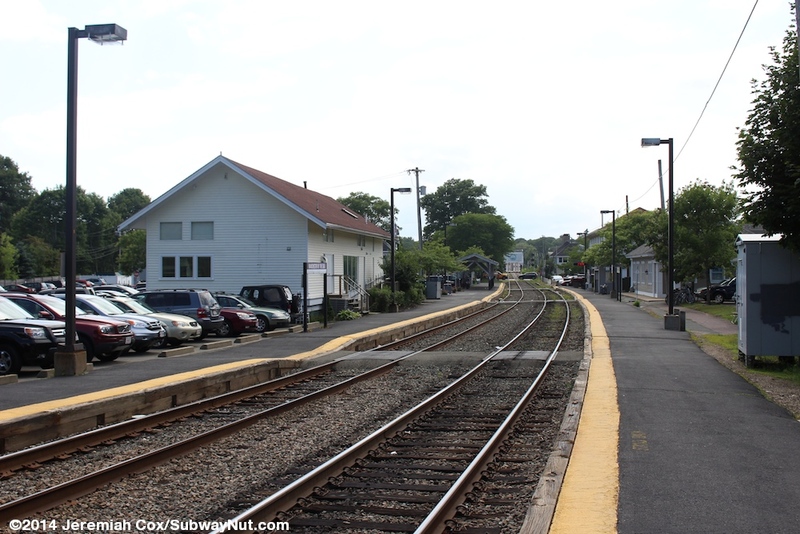 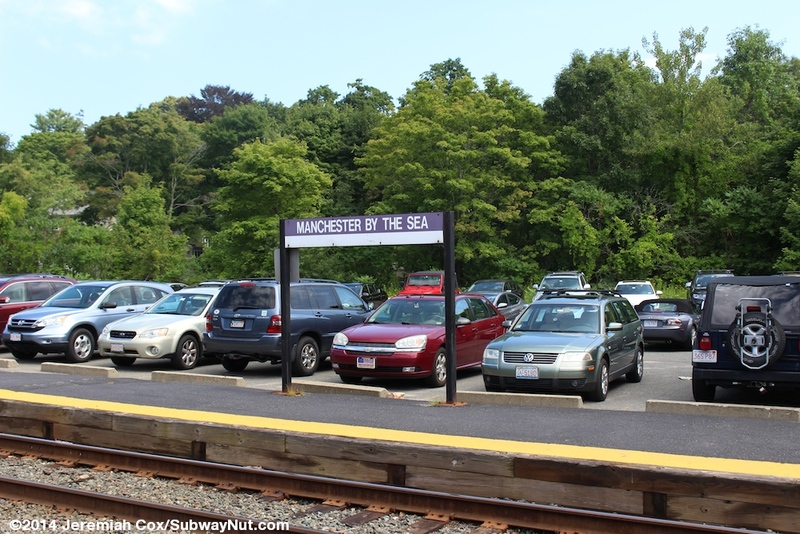 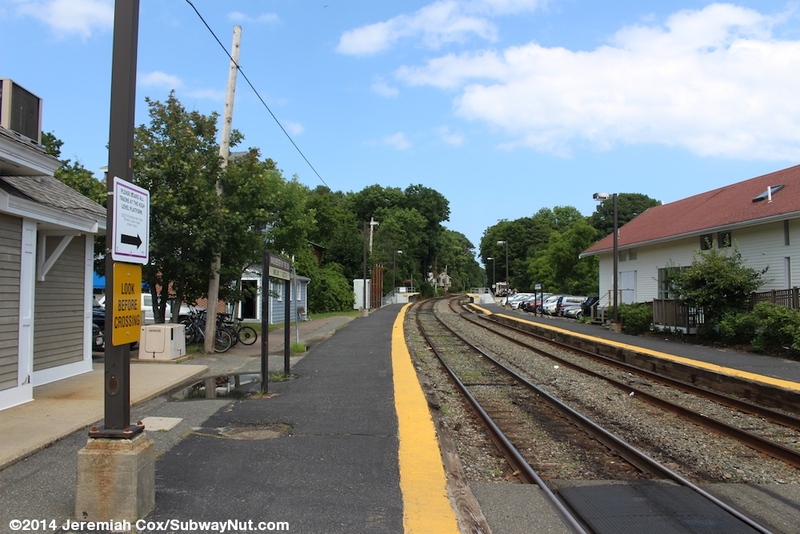 Manchester-By-the-Sea (the official name of the town, the signs on the platform say this, MBTA printed literature like maps and schedules just say Manchester) is a station on the Rockport Branch of the MBTA Commuter Rail. 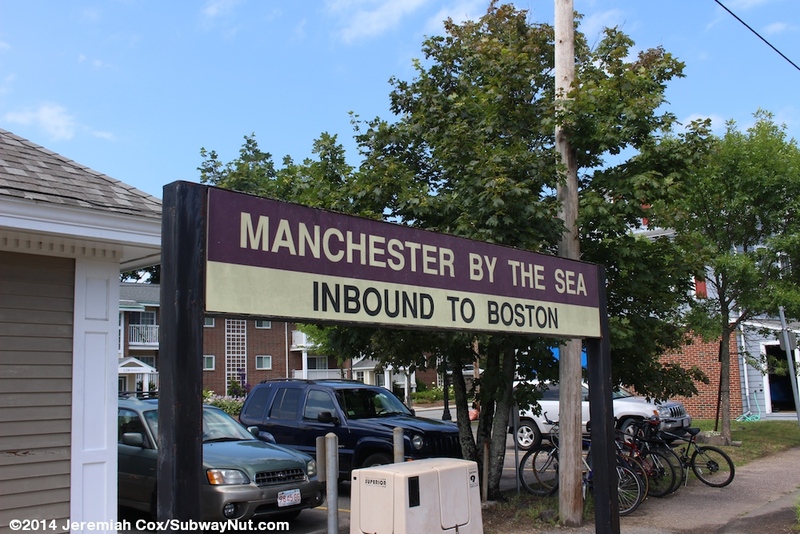 The station is located in the small town center just northeast of the grade-crossing of Beach Street which separates the station from the bascule rail bridge at the entrance to Manchester Harbor (mainly marinas used by pleasure boats). 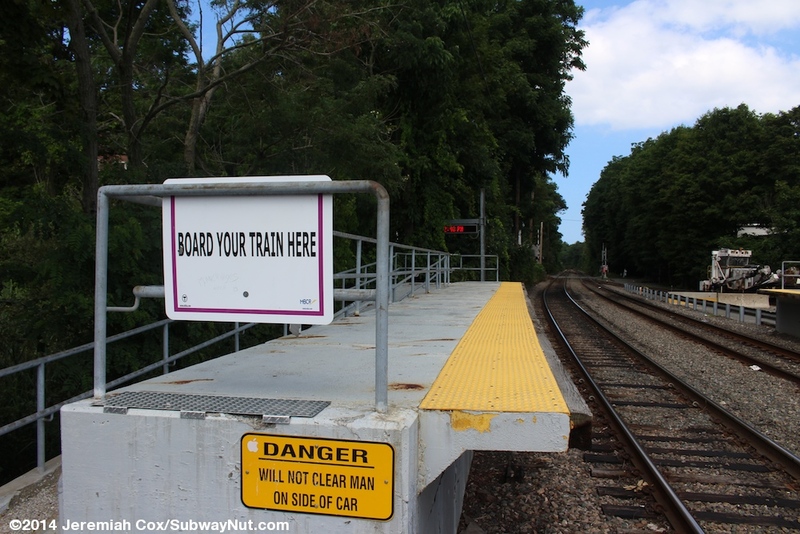 This bridge is normally up when trains aren't scheduled to pass. 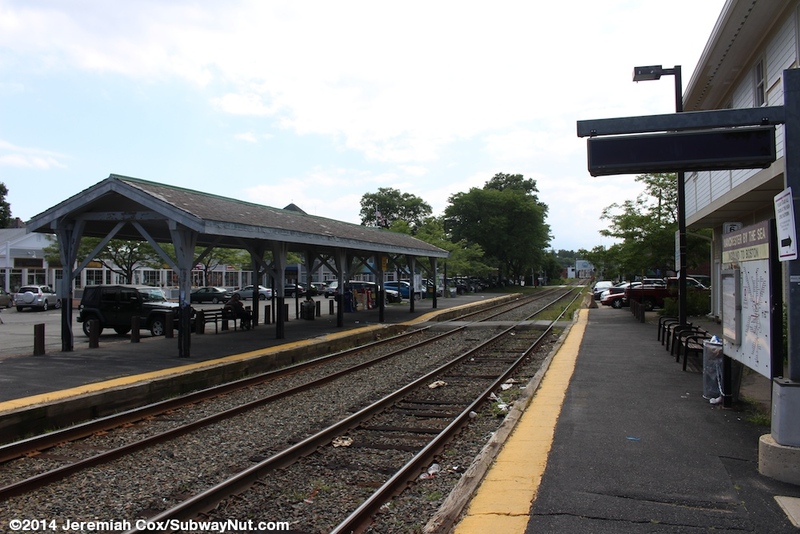 Around the station is a number of small parking lots along with small buildings housing a verity of downtown services and shops. 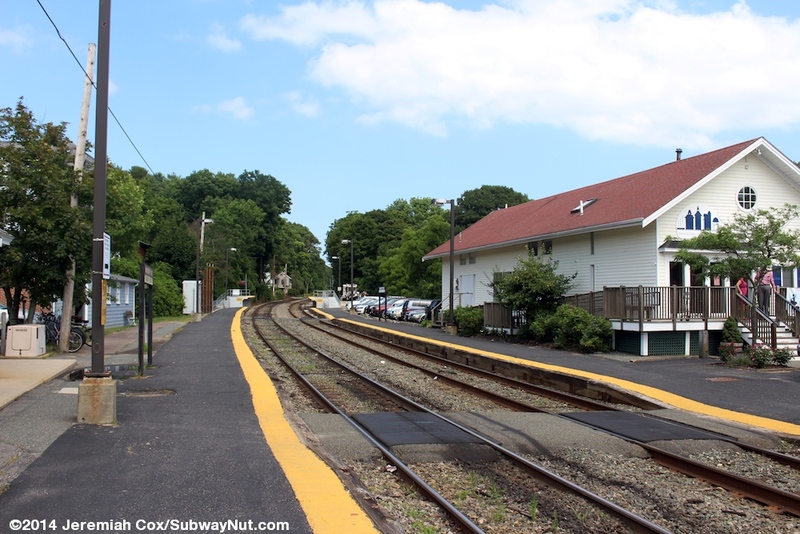 These include a bank and a couple small strip malls. 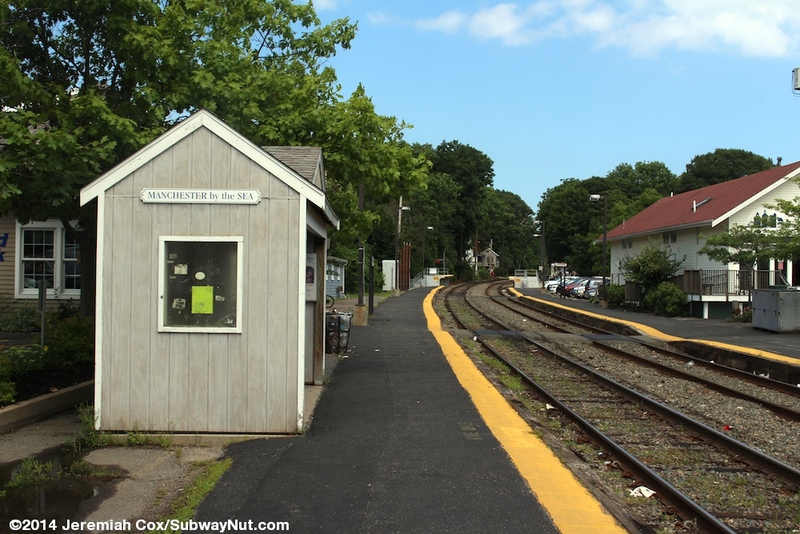 The station's entrance is from Beach Street and this is where the T Lollypop sign is. 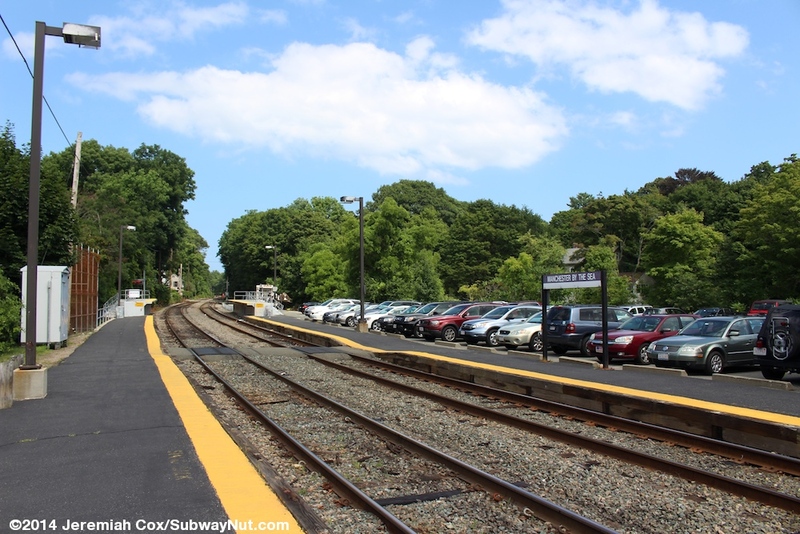 All commuter parking is along the outbound platform in a small 75 space lot with free parking in designated spaces that are well marked with short-term parking only for village businesses in other spaces around the station. 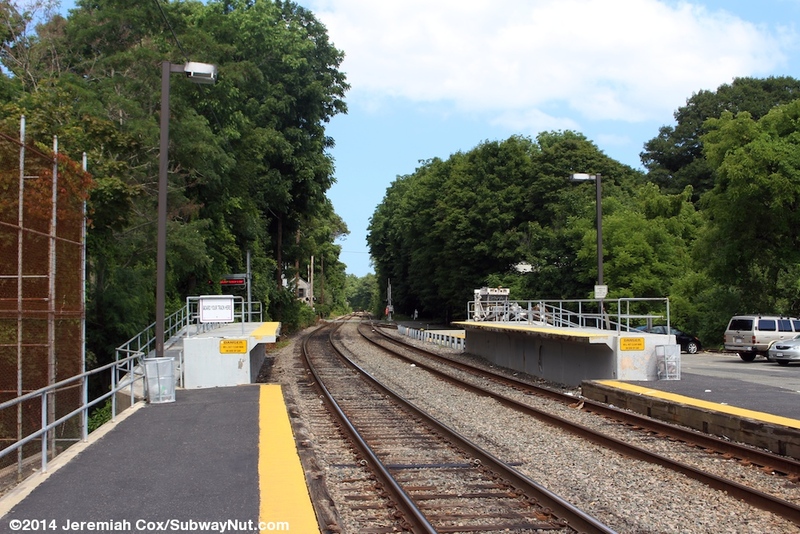 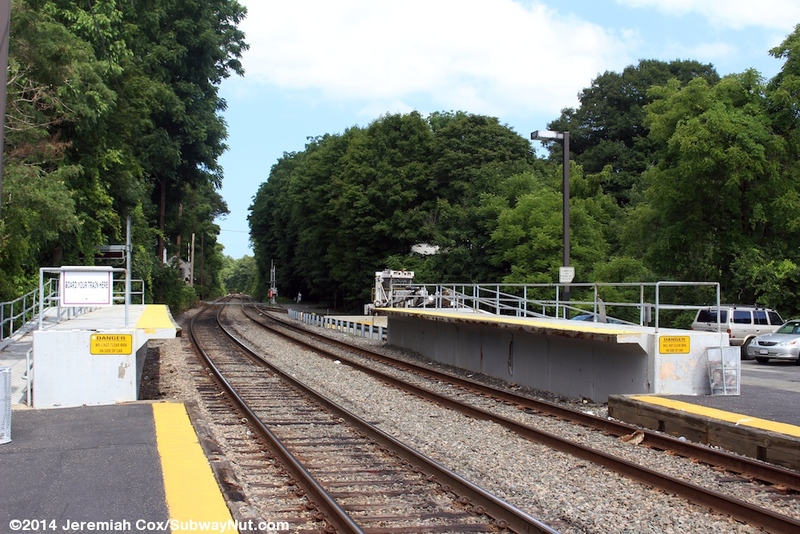 For trains, the station has two simple low-level side platforms that just have simple yellow lines without a fence between them and curve slightly. 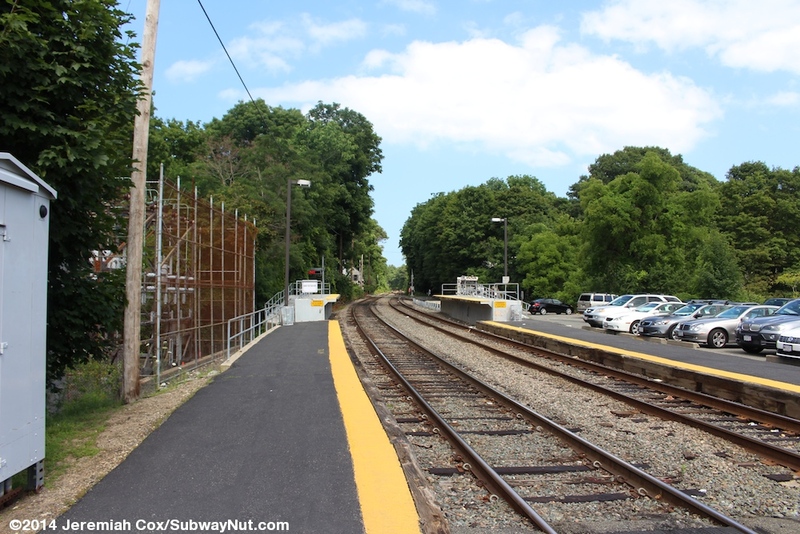 3 asphalted over unprotected pedestrian grade-crossings, that just have Watch out for Trains signs connect the two platforms. 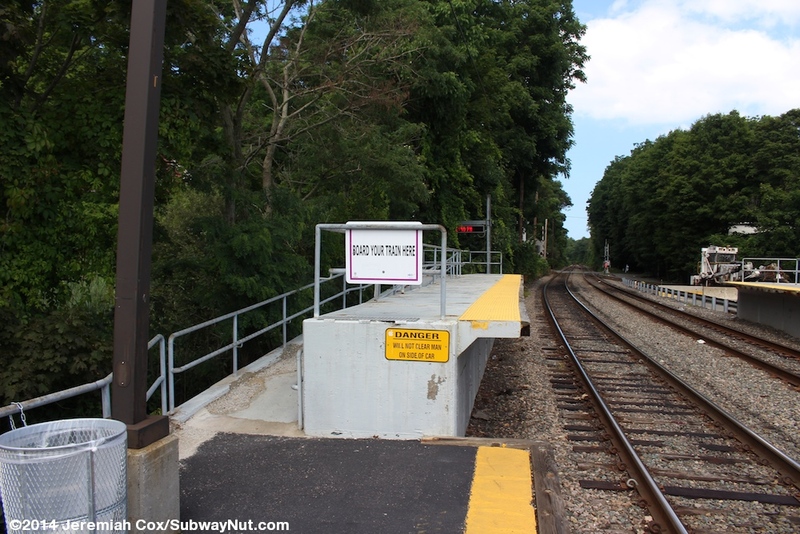 All off-peak boarding is from the single-car concrete mini-high platforms at the extreme northeast ends of each platform. 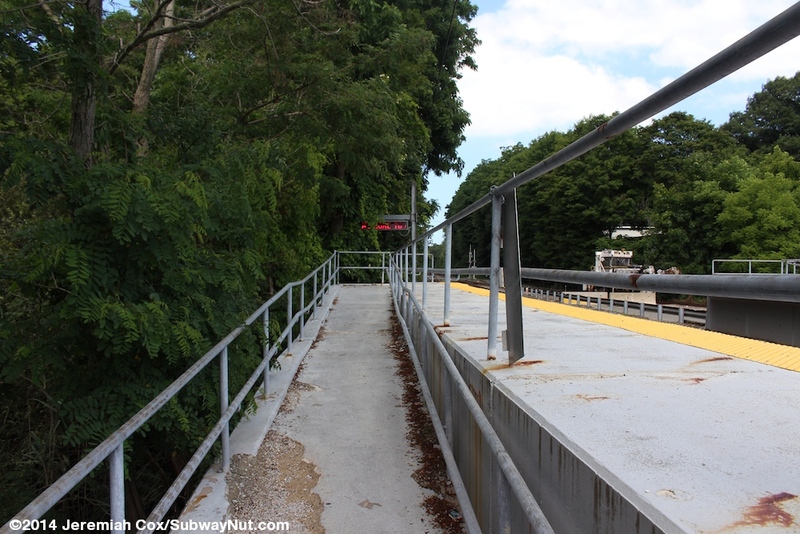 The grade-crossing of Sea Street is a bit beyond the end of these mini-high platforms but there is no direct access to the station. 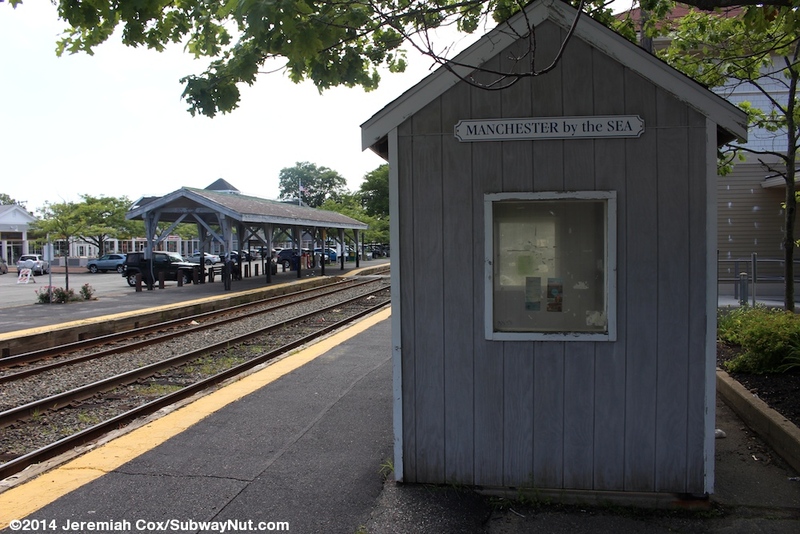 For waiting passengers on the inbound platform is a small wooden shelter with a Plexiglas windscreen in the back. 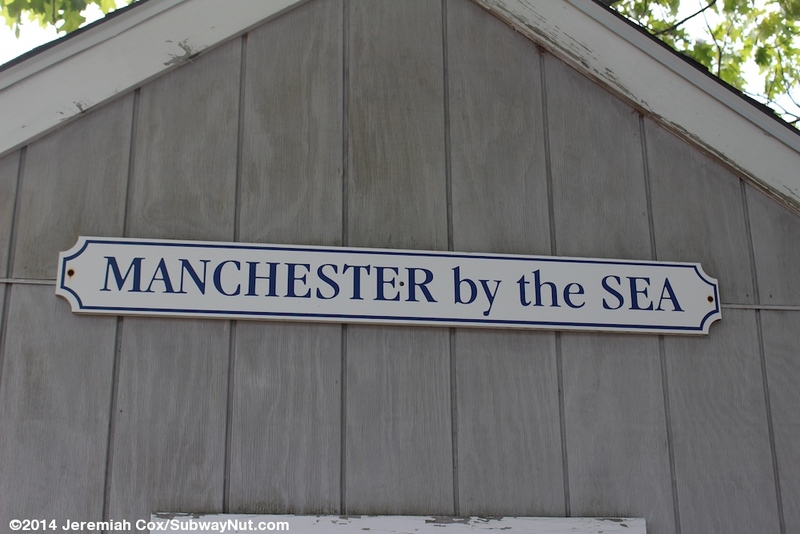 Different style Manchester by the Sea signs are on each side. 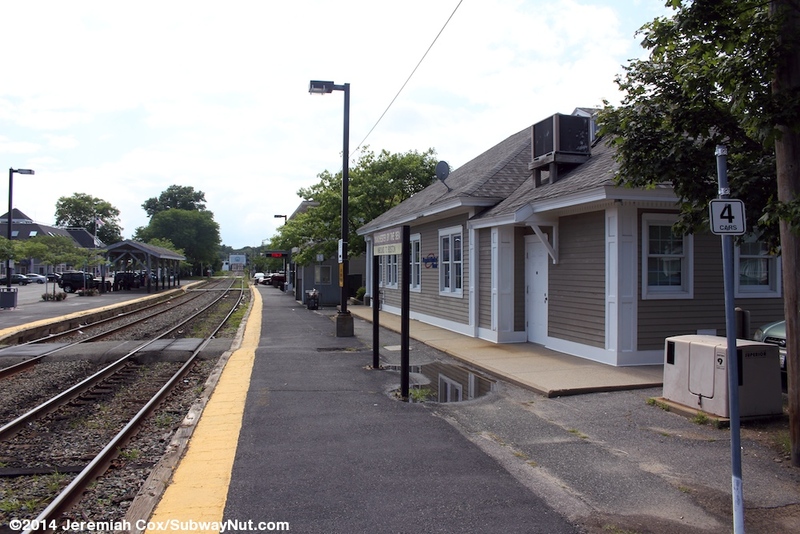 The outbound platform has a much larger wooden open-air canopy structure with a singled, gabled roof that covers about two car lengths. 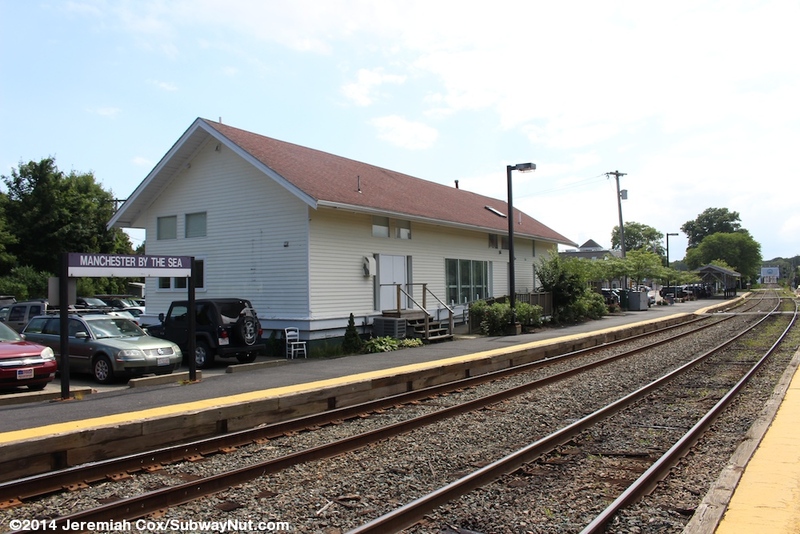 Just beyond the station (and curving around, on the opposite side of the parking lot) is a small siding that I assume used to serve a local Manchester customer.